So many things today are labelled shabby chic. 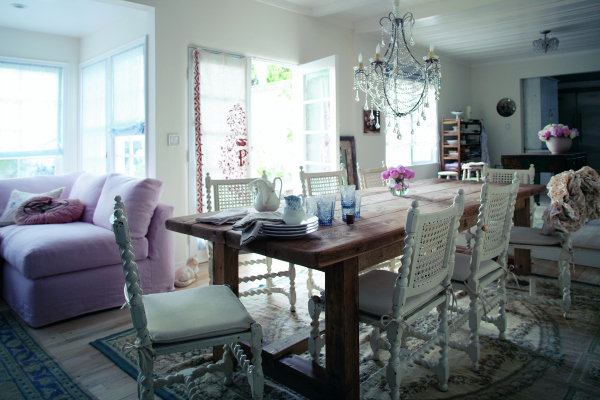 The style is everywhere and usually thought to have originated in France – hence the term ‘French shabby chic‘. It might therefore be surprising to learn that the concept actually began in America. 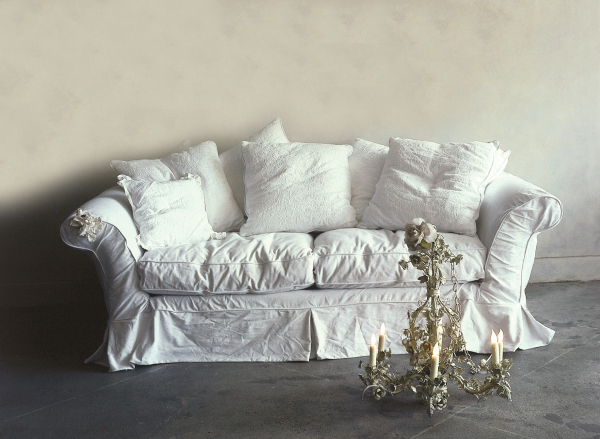 In 1989 Rachel Ashwell was looking for ways to protect her sofas from her two children and came up with the idea of covering them (the sofas – not the children!) with white denim and cotton. This worked very well and soon neighbours and friends wanted the same ‘slip coverings’ for their own sofas. Rachel seized the opportunity and created the Shabby Chic® brand, opening her first store in Santa Monica, California, in the same year selling slipcovered furniture and vintage accessories. Twenty five years later, Rachel’s philosophy of beauty, comfort and function still rings true for this iconic interior style. The beauty of shabby chic can be seen in a piece of aged worn furniture such as a dresser or a set of vintage chairs that have been painted and skilfully sanded down to reveal a timeless (and very popular) distressed finish. For a relaxed elegance what could be better than a chandelier festooned with shiny droplets and pretty beads. Think living room, dining room, kitchen, hall or bathroom (or even a chandelier in every room!). Floors are best kept plain and simple, although a large faded rug on a wooden floor works very well, giving a certain rustic charm. Mirrors are a great way to add a touch of shabby chic and a perfect introduction to a love affair with this style. Choose from large, small, plain or patterned, distressed or very ornate but keep the frame colour very subtle to blend in with the rest of the room which should be decorated in muted colours of pastels, creams and whites. Comfort brings to mind squashy sofas and plumped up cushions but more than this the home should be a place where visitors and the people who live there can feel relaxed and calm. 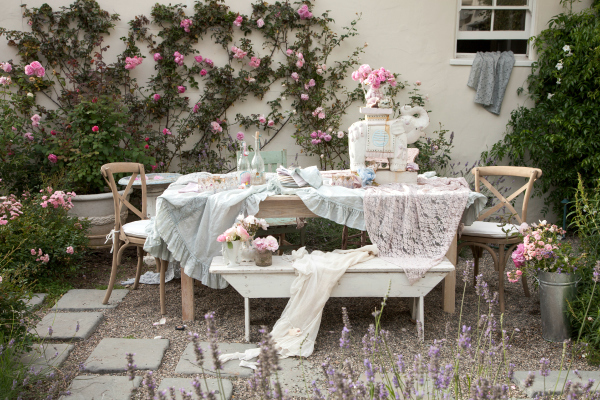 This is what shabby chic is meant to be – an easy living, soft and perhaps romantic style. With all of this comes practicality. A collection of vintage glassware, mismatched china and antique silver look stunning and yet obviously are very useful. Faded linens especially with vintage floral patterns make cushions and napkins and to be admired. 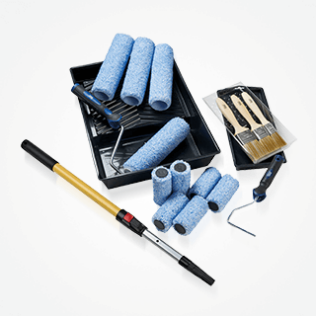 It’s relatively easy to create this style from scratch or even add a little bit to the existing décor. The trick is to make it look beautiful, comfortable, functional and of course effortless. Chic, but not too shabby!